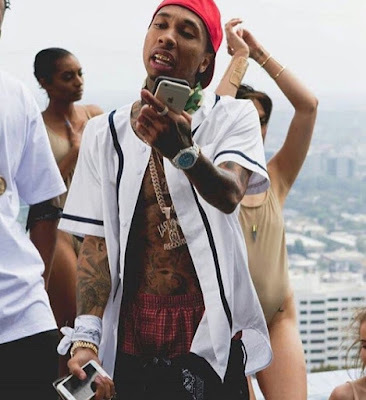 Tyga is releasing new music and it looks like he is trying to stay on trend by doing a dancehall track. His new song titled "1 of 1" is easy to move your hips too with the island vibe beat. During the song, Tyga not only raps, but he explores his singing side as well. The song definitely resembles Drake's "Controlla", could it just be a coincidence between the enemies? We may never know but the similarities are a little too close. Its good to see that Tyga is not letting the Kylie Jenner break up drama distract him from the music. The rapper is supposed to be releasing a mixtape titled B**tch I'm the Sh*t 2 in which this new track will be featured on.